← Water: How Can It Benefit You? 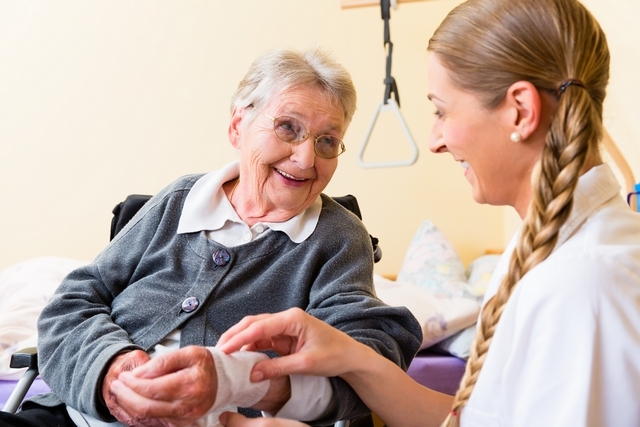 Home care services are a great way to receive a helping hand around the house. As we age, certain things can become more and more difficult. These tasks can be anything from getting around the house to running errands. However, through the services of an in-home care provider, you do not have to stress out about these things. Here are a few of the many things you can expect from our non-medical home care in Winter Haven, FL. One of our more convenient services is homemaking. Through this service, we can give you a helping hand with many of your day-to-day activities. We can clean the house, do the laundry, wash the dishes, and run your errands. These are trivial tasks that can leave you exhausted and with no more time to do what you love. Over time, they can reduce your quality of life. So leave it to us. You can enjoy our services on a 24/7 basis. This means you will always have access to the exceptional care you deserve. You no longer have to stress out about getting up in the middle of the night or getting dressed in the morning. You can count on us to provide you with the compassionate support you need. Another service you can expect through our in-home care is personal care. This service is dedicated to helping you with many of your day-to-day needs such as using the bathroom, mobility, dressing, personal hygiene, and more. Non-medical home care services are a great way to improve your quality of life and ensure that you always have the time and energy to dedicate towards what you love. If you would like to find out more about our services and how we can serve you, please feel free to get in touch with Compassion Home Care anytime. This entry was posted in In-Home Care Services, Non-Medical Home Care and tagged 24 Hour and Live-In Care, Companionship care, Home Care Services, Homecare, Household Duties, Personal Care, Respite Care. Bookmark the permalink.